When Your on 65th!, originally uploaded by lifebegreen. 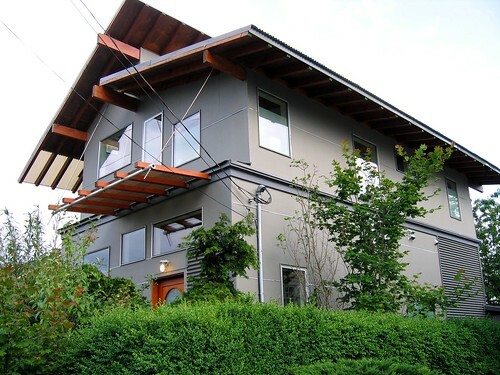 I love the opposing lines on this modern home in Ballard. With little or no yard, it makes a great alternative to a condominium, without the homeowners dues. A home like this would probably range in the 450-600K price range in Ballard, depending on the square footage and location. The Ballard real estate market remains strong, and there are a number of condominiums for sale in Ballard, starting for as low as $200K for an older condo, inching up higher for newer units.